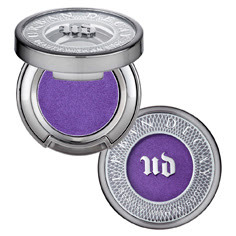 Urban Decay fans, this is a pretty awesome contest, you probably won't want to miss this. 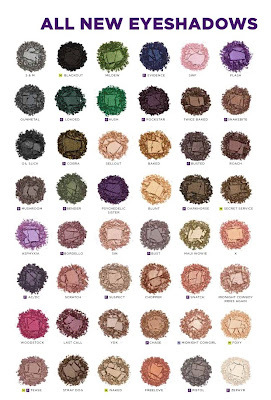 From now until April 14th, you can enter to win an exclusive eyeshadow vault with all 68 newly revamped eyeshadows plus an additional 9 best-sellers and favorites. 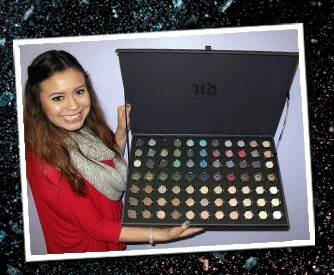 All you need to do to enter is be at least 18 years old and a US resident, visit Urban Decay's Facebook page and hit submit. 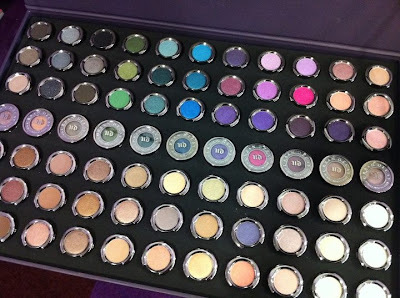 Prize: Urban Decay's Eyeshadow Vault - a collection of 68 of our newest shades, plus 9 duplicates of our best sellers and faves. • Even softer, amazingly velvety texture - it’s cushy-soft! It’s the product we were born to make, and we think you’ll agree – we now make the undisputed, BEST shadow in the industry. • The Pigment Infusion System is a vehicle for color. It’s what holds tightly onto pigment, AND what gives the formula its glide and insane color payout. 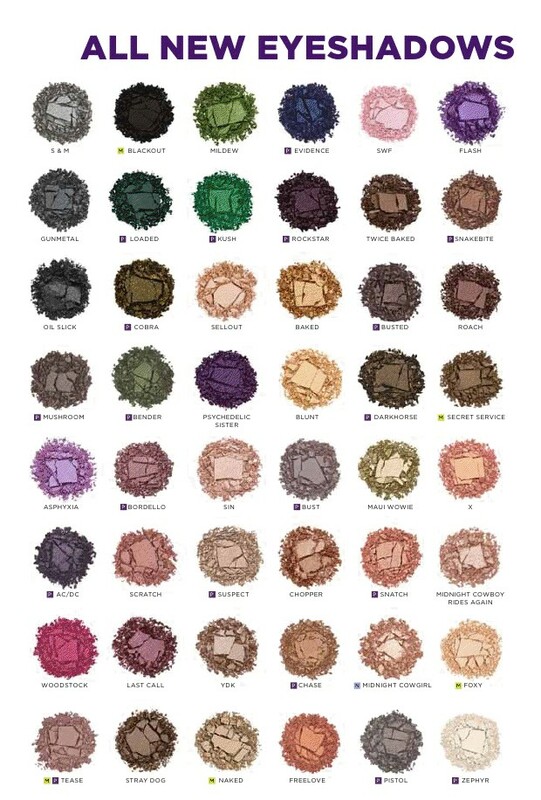 • Our proprietary blend of ingredients allows color to weave itself through the Eyeshadow formula, so color stays on your lids, and sparkle doesn’t fall. It’s what gives our formula its velvety, suede-like smoothness and blendability. And it works with EVERY shade and finish. • 68 total shades – more than ever before. • 5 finishes: satin, shimmer, sparkle, duo- tone… and matte! Our new component is an engineering marvel! Worthy of the highest design accolades, it took us over 18 tries to perfect those floating letters. The coolest feature: two-part platform/shell system allows you to pop the shadow out of its shell and insert it into our Build Your Own Palette. Changed your mind? Pop it back into the shell. Good luck to you guys though! I'm sorry :( I'm always hoping they'll do something for everyone one day! It also bugs me how so many companies are doing their giveaways through Facebook. I don't use Facebook or any other social site. I shouldn't have to sign up for something that I'd rather avoid like the plague just to enter a giveaway. *Le sigh* to dream is for free! Thanks for sharing Scrangie! Jesus. This is the one of the most amazing giveaways ever! 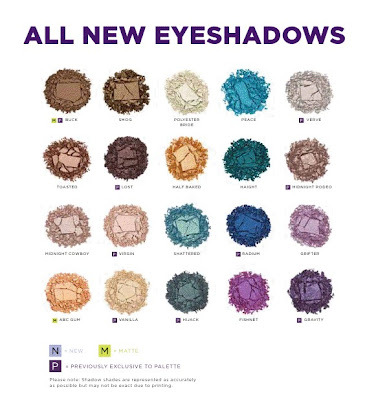 Urban Decay apparently thinks Canada doesn't exist. They won't even ship to us! Wow! That's a lot of colors! 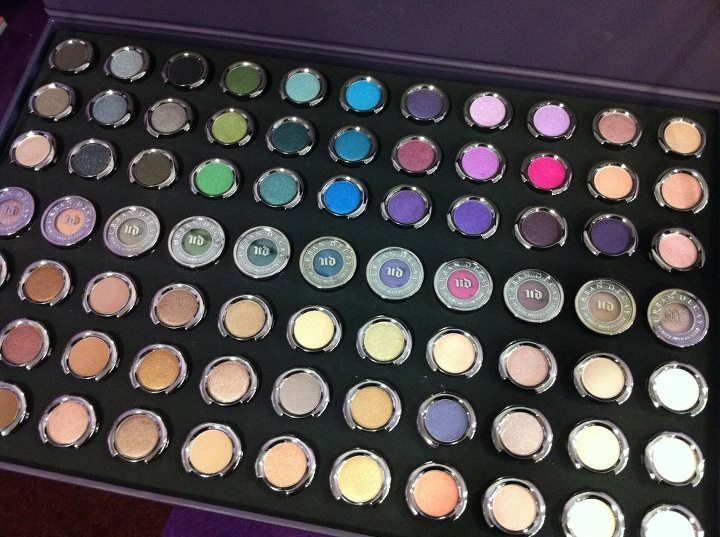 That palette is huge! It's like suitcase! :( not a US resident, and I would have loved to participate in this! Oh well, maybe better luck next time. I want! I'd love to try their new eyeshadows but $18 a pop is a bit high for me and you don't even get a discount with the palette, which means it's $126 (plus tax) to fill it up. Yikes. I entered this last week! My jaw hit the floor when I saw this thing! It is amazing. Wow!! That's amazing! But when I click the link to their FB page, it says "Page Not Found". If I win I'm just going to have to use one of those parcel forwarding services!! I can't pass this up just because I'm from Australia!